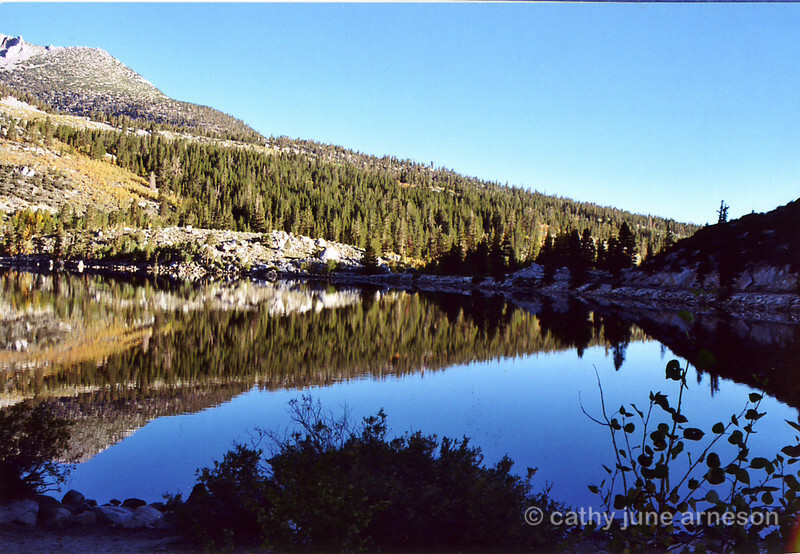 These were taken in the fall at Rock Creek Lake, California in the Eastern Sierra mountains. It was so incredibly beautiful. And cold! My gloves weren't quite warm enough and I had to keep massaging my finger so I could bend it to click the picture. These were taken Thursday afternoon and Friday morning. It was dark, cold and windy all day Saturday and it snowed Sunday morning. These pictures were taken with a Canon Rebel 2000 EOS then scanned. Early morning reflection at Rock Creek Lake, CA.